Why should I hire a Birmingham, West Midlands blacksmith or metal worker? If you dream of elaborate iron gates and railings surrounding your property, or a beautiful Juliet balcony or outdoor iron balustrades, then it’s essential to hire wrought iron workers that can create and install these beautiful structures professionally. If you want to save a little and not go for hand-crafted, blacksmith-made pieces, you’ll still be able to find Birmingham, West Midlands metal fabricators that create railings and gates in bulk in a number of styles that will fit with your house design. 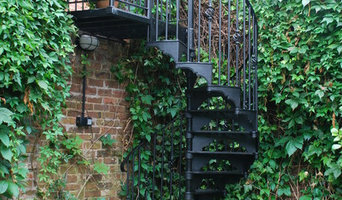 Talk to an ironwork professional or blacksmith in Birmingham, West Midlands from Houzz to see what wrought iron work or metal pieces they can create or install in your home. Here are some related professionals and vendors to complement the work of wrought iron workers: Fencing & Gates, Decks, Patios, Sheds & Summerhouses, Cladding & Exterior Contractors. Questions to ask a Birmingham, West Midlands blacksmith or metal worker? Find an ironworker or blacksmith on Houzz. 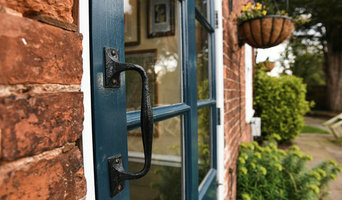 Narrow your search in the Professionals section of the website to Birmingham, West Midlands blacksmiths and ironworkers. You can also look through Birmingham, West Midlands photos to find examples of ironwork that you like, such as iron gates or railings, then contact the metal worker who fabricated them.